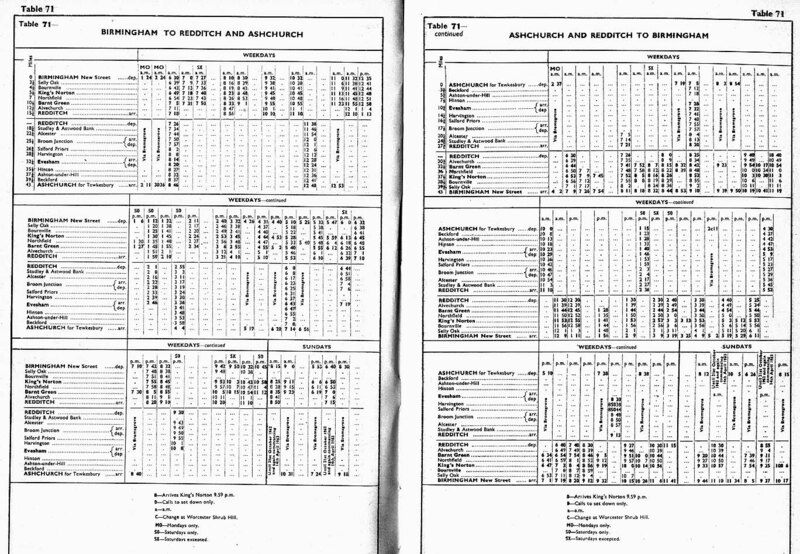 This is the 1962/3 timetable for the line from Birmingham to Redditch and Ashchurch. The Evesham & Redditch Railway) was closed on 6/7/1964. 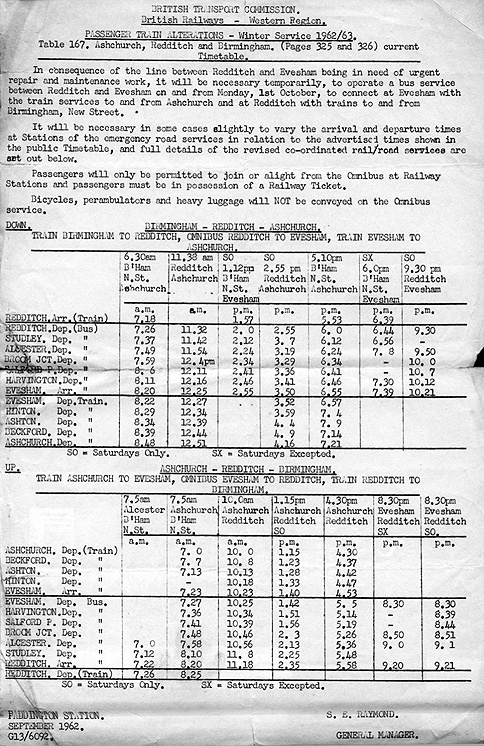 The Ashchurch to Evesham Railway was closed on 9/9/1963. Images by courtesy of Paul Luscombe.